The laws regarding overtime pay are straightforward, but many employers still try to avoid paying overtime to deserving workers. Some employers take the view that the worker needs the job and therefore should willingly accept whatever wages they are paid. Violations of the federal Fair Labor Standards Act (FLSA) are all too common. The FLSA establishes a federal minimum wage and requires overtime pay for work in excess of 40 hours per week. Employers in Kentucky must pay employees time-and-a-half for all hours worked beyond 40 hours in a work week, according to federal and state law. Some types of jobs are exempt from the requirement, however. Employers may attempt to reclassify a worker in order to avoid paying overtime. Just because your employer calls you a manager does not necessarily mean that your employer can avoid paying you overtime. It is a good idea to consult with a knowledgeable employment law attorney if you work in Kentucky and have a question about whether you are entitled to overtime pay. At Frank Jenkins Law, we understand that employees deserve to be paid for all the hours they work including overtime as set forth by federal law. Our employment law attorneys are ready to review your job duties and how the overtime law applies to your job. We will help pursue your wage and hour claim if you are entitled to seek unpaid overtime. 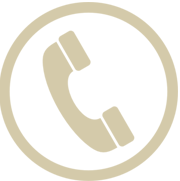 The initial consultation is free, so contact us today at 859-389-9344 or use our online contact form. Can Employers in Kentucky Require Workers to Work More than 40 hours a Week? Employers in Kentucky may require employees to work more than 40 hours per week. Kentucky law does not limit the number of hours that employers can require employees to work. But employers must pay overtime when the work week exceeds 40 hours unless the employee has a job that is specifically exempt from the requirement of paid overtime, under the FLSA. The rate of overtime pay is based on an employee’s hourly wage. For example, if you normally earn $16 an hour and your job is covered by the Kentucky Wage and Hour Act, you should be paid $24 per hour for overtime hours beyond 40 hours per week. However, Kentucky law does not require employers to pay overtime to employees who work more than 8 hours per day or work on Saturdays or Sundays or holidays. Unless an employee works more than 40 hours in a work week, the law does not require payment of overtime. Employers may not give workers comp time off in lieu of paying overtime to employees who are covered by the overtime law. 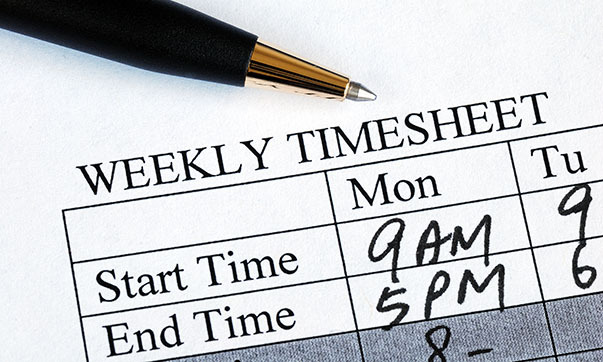 Employers may not average the number of hours worked over two workweeks to avoid paying overtime. For example, if a worker works 25 hours one week and 50 hours the following week, the worker should receive time-and-a-half pay for the 10 overtime hours during the second week. Each workweek is treated separately. The Kentucky Wage and Hour Law requires employers who permit an employee to work seven days in one work week to pay time-and-a-half overtime pay for the time worked on the seventh day. Certain occupations are exempt from the requirement, such as supervisors. The laws governing wage and overtime may be on your side if you are a wage earner who has been treated improperly by an employer in the Bluegrass State. But it is unlikely that you are familiar enough with employment law to assert your legal rights without knowledgeable guidance from an employment lawyer. At Frank Jenkins Law, our FLSA violation attorneys will advocate for your right to a fair wage and proper pay in an overtime dispute in Lexington or anywhere in Kentucky. The Kentucky Wage and Hour Act provides exceptions to the overtime requirement for employees in certain industries including employees of retail stores, restaurants and hotels and service industries. However, federal labor law still protects employees of retail stores, hotels and motels, restaurants and service industries. Federal law requires employers in these industries to pay overtime to employers of retail stores, restaurants, hotels and motels and service industries. If you are employed in one of these industries and did not receive overtime pay for working overtime hours, you should call us. We may be able to help. What Types of Jobs Are Exempt from Overtime Pay? Employers in Kentucky who are subject to the Kentucky Minimum Wage Law are required to keep records of the hours that employees work each day and each week, the rate of hourly pay and overtime hourly pay and the total paid for each work week. Are Employers Required to Pay Overtime to Employers Who Work Holidays? Under Kentucky law, employers are not required to pay overtime for working a holiday. The Kentucky overtime dispute lawyers at Frank Jenkins Law understand that you work hard at your job and you deserve to be fairly paid, according to the law. We are committed to the belief that Kentucky workers deserve a full day’s pay including overtime for a full day’s work. We will analyze your overtime claim and explain your legal options free of charge. We can file a legal action to help you recover unpaid wages and overtime. It is important to consult with an attorney right away if you have an overtime dispute with your employer. If you do not file a claim in a timely fashion, you may lose the legal right to recover your overtime pay. Contact a Kentucky employment law attorney today for a free consultation about your overtime dispute.